Conveniently located on West Colonial Drive – Hwy 50 – between Winter Garden and Clermont – you can see our HUGE display lot and dozens of Sheds, Carports, Modular Buildings, Steel Buildings, and even Gazebos! We have it all at this Superior Sheds Super Lot. Ricardo – the lot manager – can answer your questions and assist in selection. Ricardo is a family man and Jeep Enthusiast that has been in sales for over 25 years! (Member of the Jeep Club) Ricardo is experienced and knows the process – from permitting to installation – he is a PRO and can make it easy! SHEDS of all sizes, styles, and colors!! 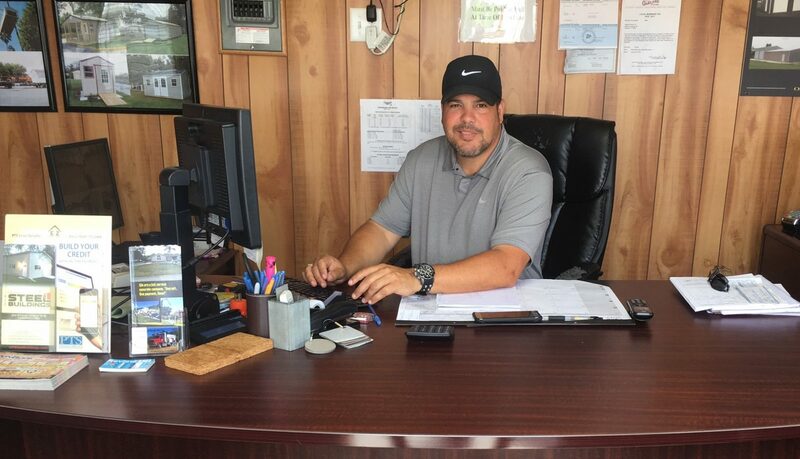 Plus Carports and Steel Buildings – Ricardo shines in his product knowledge of Steel Buildings and Carports of all sizes. Complete line of Carolina Carports and Orlando Steel. Stop in and walk around – see what is available! *Shed Sales & Delivery plus Carports & Steel Buildings servicing Orlando, Windermere, Winter Garden, Oakland, Clermont, Ocoee, Apopka, Kissimmee, Minneola, Groveland, Montverde, Mascotte, Tildeville, Orlovista, Mabel, Ferndale, Lockhart, Lake County, Orange County, Osceola County and Surrounding Areas.